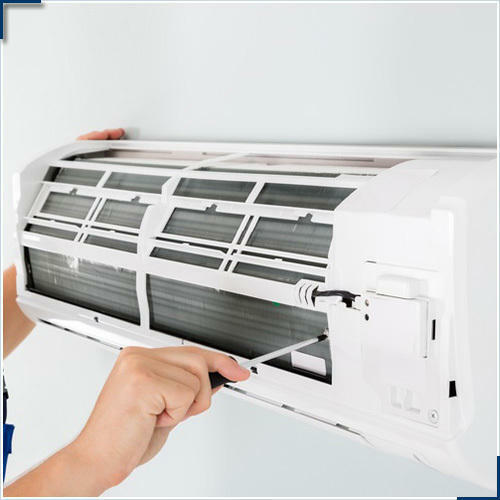 Backed by highly accomplished personnel in this arena, we are offering Split Air Conditioner Installation Services. A team of dexterous personnel works in close coordination with our patrons to impart these services as per their needs. Provided services are largely valued amid our patrons for their on-time execution. We, “RSR Electrical & Electronics”, are a reliable service provider, occupied in offering AC Repair Service, AC Installation Services, AC Rental Service, Geyser Repairing Services, CCTV Installation Services, CCTV Repairing Service to our clients. The provided services are conceptualized with client-oriented approach to bring the extreme gratification to our patrons. The offered gamut of service is rendered in obedience with the quality constraints by our very capable experts who hold rich understanding in this particular field.